The Fool is a very powerful card in the Tarot deck, usually representing a new beginning -- and, consequently, an end to something in your old life. 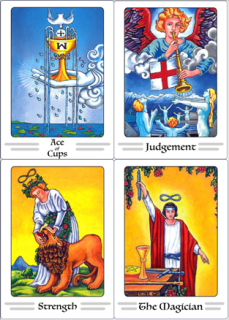 The Fool's position in your spread reveals which aspects of your life may be subject to change. The Fool portends important decisions ahead which may not be easy to make, and involve an element of risk for you. Approach the changes with optimism and care to gain the most positive outcome. The risks you have taken and your original thinking have brought you success. By doing things in a new way, you have allowed for great potential. At this moment, you are entering a new phase of life. The experience of this change may seem good or bad now, but its influence will be clearer in the future. Assessing the risks is crucial to making the right choice. In order to succeed, you must find new ways to bring about the achievement of your goals. When the opportunity comes, you must be willing to shed old habits and if it never comes, it may be time to create it for yourself with new methods. The Fool represents new beginnings and carefree adventure. Though this card could indicate foolishness, it is more optimistic in the sense that it stands for pure actions and being free from the constraints of your present life. More than likely, there are important decisions coming your way, and the answer to your question is yes.